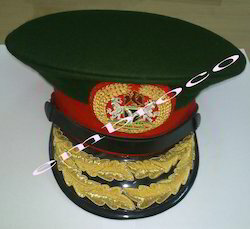 Offering you a complete choice of products which include Army Caps such as Ceremonial Cap, Military Caps, Nigerian Army Cap and Russian Military Cap. These are easily available at market leading prices. We offers the Ceremonial Cap. Catering to a vast clientele, we offer need based tailor-made products in minimum possible time. For more details contact us. They have been designed keeping in mind the best quality to be imparted. These caps have been cherished for their awesome display. The Military Caps is made with the absolute finish and finesse. They are customized and are made to order according to the need of the client. 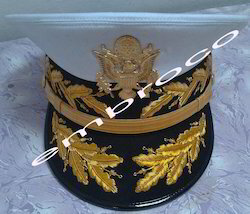 The ceremonial caps are well fit and are made by skilled professionals. Our services are well known in the industry for its professionalism. They have been designed keeping in mind the best quality to be imparted. These caps have been cherished for their awesome display. The Nigerian Army Cap are made of the highest quality and are checked for its quality periodically because we believe in delivering the best products. The ceremonial caps are made of the best quality materials which have been designed by dedicated craftsmen. It is known for its durability and finish. Our services are customized and are made to order. They have been appreciated for the techniques we exhibit. 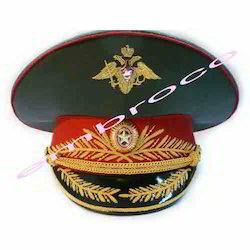 We hold expertise in manufacturing and supplying an exotic collection of Ceremonial Caps Of Russian Military Cap. Owing to the support of talented team members, we have been able to offer caps in client desired colors and with printed or embroidered logos. 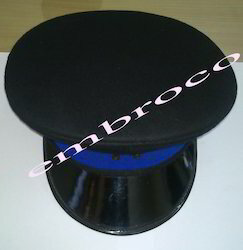 These caps are specially designed keeping in mind its value as a great outfit in a form of uniform. 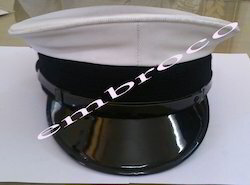 Our Caps are precisely designed and developed using best quality fabrics and imported fabrics. Looking for Army Caps ?